The Work of John Wardle | Sydney House. One of my favourite architects of recent years is John Wardle. Although well known for the Westfield Commercial Tower in Sydney and several notable city towers and educational buildings, Wardle’s residential work is of most interest. In particular, the Fairhaven Beach House captures my heart. 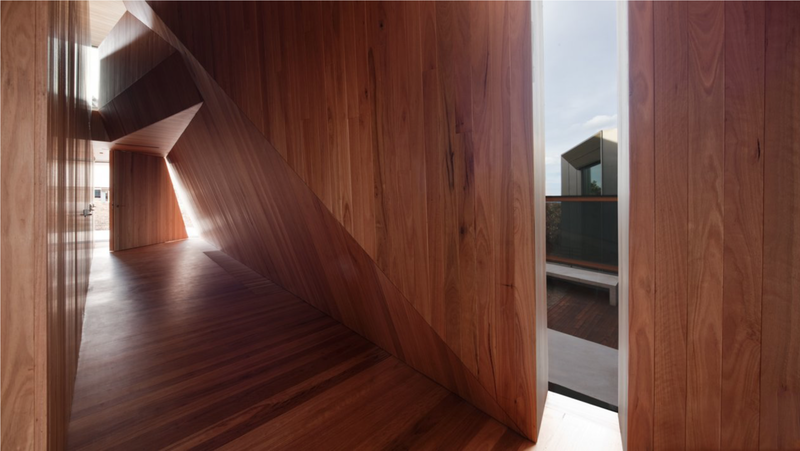 Its full-timber interior seems cohesive and calming, yet very exciting. Located on the Great Ocean Road, the views of course make this house even more stunning. But Wardle, to me, using glass has successfully removed any visual barriers possible between the inside of the house and the outside beach, weather and sky. Inside the house I imagine you can fully appreciate the environment and the seasons as they pass. These days, building full timber interiors is daring to a lot of people…partly because so much of the poorly-built 1970s housing used timber lining to cover up all sorts of flaws. These are the first to be ripped out of bad renovations and cheaply built dwellings. But when you have a good architect and construction detailing is done properly, timber interiors are beautiful if the workmanship are there.